Blushing brides and nervous grooms, if you’re feeling overwhelmed at the prospect of planning what’s meant to be the greatest day of your life, don’t worry. Forget endless nights scanning the internet for suppliers and wasted weekends travelling to look at yet another wedding venue. Everything you need to create your perfect day is under one roof at the Edinburgh Corn Exchange, hosts of the Edinburgh Wedding Fair. 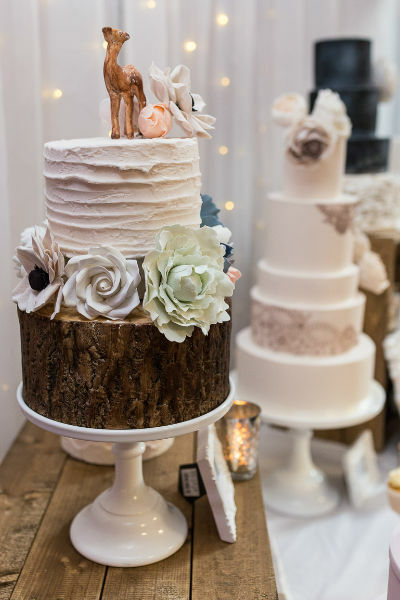 Taking place 07 – 08 November 2015, the Edinburgh Wedding Fair will celebrate its 25th show with dresses to die for, creative cakes and fabulous flowers, as well as venues, stationery, jewellery and more. Plus, it could all be yours for free. One lucky visitor will win the lot in the Win My Wish List competition. There’ll be plenty of exclusive show discounts to take advantage of; the Edinburgh Corn Exchange itself will be offering up to 20% off wedding receptions booked at the show. No matter what stage you're at - whether you're newly engaged and just starting to plan, or you're looking for the last few finishing touches as your big day fast approaches - the day you've been waiting a lifetime for can be arranged in one hassle-free weekend at the Edinburgh Wedding Fair. 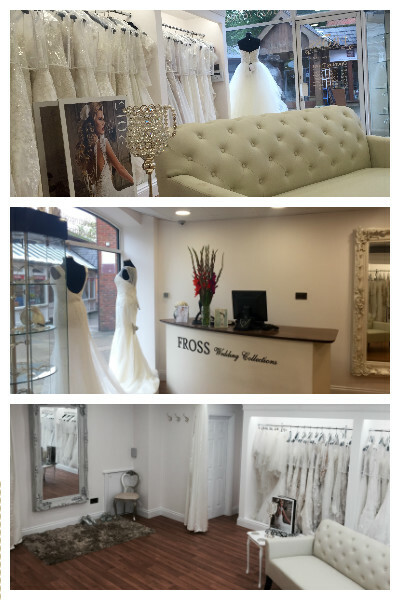 Award winning bridal Boutique Fross Wedding Collections are delighted to announce that they have now moved into their luxurious new bridal boutique at 6/7 Bell Walk, Uckfield, East Sussex. After nearly 9 years, Fross Wedding Collections have moved out of their beloved shop and down the road into their new spacious boutique that offers double the space with their in-house seamstress based upstairs. With bridal gowns housed in beautiful wardrobe style booths, elegant mirrors on the wall and sumptuous curtains gracing the dressing rooms the new boutique is the perfect place to find your dream dress. Fross Wedding Collections stock a hand-picked stunning collection of wedding gowns and bridesmaid dresses from some of the best designers around the world including wedding gowns from Justin Alexander, Sincerty Bridal, Mori Lee, Stella York, Ellis Bridal, Mark Lesley, Donna Solado and Wendy Makin and bridesmaid dresses from Sorella Vita. 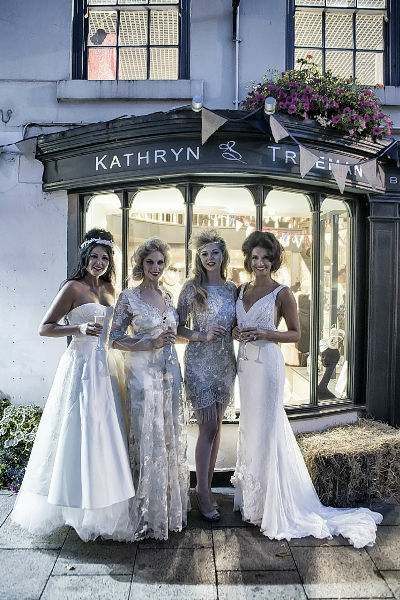 Alongside these fabulous gowns there is a beautiful collection of jewellery, hair accessories, and bridal accessories from leading bridal designers, veils by Joyce Jackson and shoes by Rachel Simpson Shoes. For more information or to book an appointment visit www.frossweddingcollections.co.uk or call Fross and her team on 01825 763380. 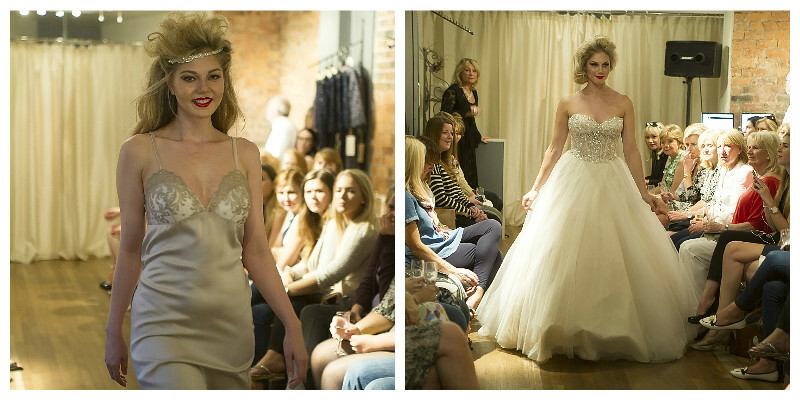 FASHION lovers and brides-to-be were treated to an evening of Champagne, canapés and cowboy boots – as the North East’s leading bridal shop unveiled its 2016 collection. 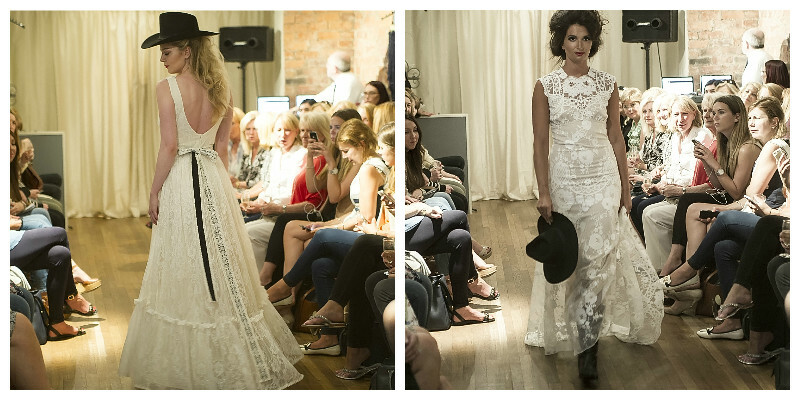 More than 100 people gathered at award-winning Kathryn S Trueman bridal shop, Bridge Street, Morpeth on Thursday 10 September, for a fashion show featuring wedding dresses from some of the world’s top designers and, instead of tiaras and high heels, the models sported cowboy boots and stetsons, in keeping with the vision behind some of the couture gowns. Among the dresses on parade, were designs from Claire Pettibone’s Romantique collection, which has been heavily influenced by America’s Old Wild West. Other world renowned designers featured on the catwalk include David Fielden, House of Mooski, Nicole Spose, YolanCris and Badgley Mischka. For further information visit the Kathryn Trueman website. I’m a freelance professional makeup artist based in Derby but also travel around the East Midlands. I have been in the makeup industry for over 4 years and love every minute of it! My flair for makeup and passion for beauty! I first started off in the Fashion/Beauty Editorial route and worked my way around to discover the amazing wedding world, working with upcoming brides and hearing all their dreamy wedding plans was a job I could never dislike! What’s your top beauty tip for brides in the run up to their big day? Skincare Routine and Green Tea!!! Set yourself up with a good skincare routine 2 months prior to your wedding as this will correct and clear everything out of your skin in the first few weeks then it will gradually beautify you throughout the run up to your wedding so your skin will be flawless. 2 years after living on green tea and water really does detox you and keep your skin glowing. You can get through the taste after the first couple of days, believe me! Any funny stories you would like to share with #BrideHour? Funny but awkward… Knocking on the wrong door for a wedding trail with all my kit in both hands, don’t think they expected that one, although I’m sure they would be happy to have their makeup done. What sort of things happen in your “typical” day? I wake up early to make a healthy breakfast to get me through my jam packed day… squeeze in an hours gym routine, get comfy in Starbucks with my green tea, Macbook and Diary and begin working through my to do list, before finally making my way to do what I do best… Makeup applications. Top tip for couples planning their wedding? TIMING! Don’t miss out on sending your deposits late as you can easily loose your date, this isn’t something you want to get a reply about. Everything really is a year in advanced, even makeup, I’m already starting with 2017 requests. Good Luck with all of your wedding planning and I wish you all the best for your Big Day and a happy future. Hey there, tell us a little about yourself! Hi I am Suzanne and I live in a beautiful little village in West Oxfordshire with my husband, 7 year old son and elderly cat. I love nature and if its not raining you might find me roaming the fields with my camera looking for wildflowers, bees & butterflies!! I have always made things, learning to make my own clothes aged 6, I went on to study Fashion & Textile Design and Design Management at University before enjoying a 14 year career as a Buyer and Product Developer. I have always loved stationery and have designed cards for as long as I can remember but decided to take the safe option in to buying after university. When I had my son I decided not to return to buying because of all the overseas travel, so I spent 3 years working for my husbands property business, marketing and bringing in clients, I did really well but I missed the creativity and would design ever bigger and better corporate gifts to give to clients at Christmas, which led to enquiries about the cards from other businesses. At the same time I started designing papercuts for friends and family to keep myself busy and from this humble start Paper Tree Design was born. Have you seen any trends in the wedding industry recently? 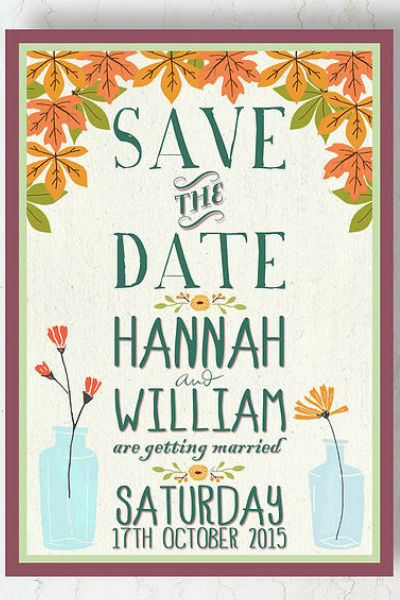 I am seeing a lot more illustrated florals and soft colours, and scripty fonts and calligraphy continue to be strong. I am also in love with the more casual wild flower look in bouquets, buttonholes and table decorations, particularly when pared with Edwardian inspired dresses and vintage table linen. Have you noticed a difference in the weddings from when you started out to now? I have only run my own business for a couple of years, but in my previous career I was involved with wedding related products and I think weddings are far more unique and informal now. Much more effort goes in to theming the whole day rather than just thinking venue, dress, cake, photographer. I think couples really have more opportunity to really make there wedding their own. Just remember it is the people at your wedding that make it special not the things so try not to get wrapped up in all those ’10 must haves for your wedding’ lists. Choose your suppliers wisely and make sure you feel comfortable with them. If at any point you are made to feel as if you are a nuisance then walk away, wedding planning can be stressful enough without adding a difficult supplier in to the mix. A good wedding supplier will help and guide you through the process. The leaves are falling, days are getting shorter and nights are getting colder. So in honour of the start of Autumn, we wanted to offer some wedding inspiration if you are getting married at this glorious time of year. We are Laura and Sophie, the Harris twins! We are the founders of The Bespoke Bride Guide, your complete online directory of wedding services in Plymouth and the surrounding area. We offer couples a directory of unique handpicked suppliers in one place, enabling them to choose reputable and trusted suppliers for their big day. What inspired you to start The Bespoke Bride Guide? Anyone who has ever started planning a wedding knows that it usually entails endless hours spent trawling the internet and flicking through countless expensive wedding magazines. This was certainly our experience when planning our own weddings! As twin sisters getting married in consecutive years, we were both keen to have weddings that were as individual and unique as we were. This required much research, seeking out numerous suppliers who could offer something out of the ordinary; everything from cakes to cars, dresses to bars! We realised that having an online resource available which contained information about amazing local suppliers who could offer a personalised, high quality service, would make life much easier for a bride-to-be looking to make her wedding different from the next! And so, the idea for the Bespoke Bride Guide was born. Are they any particular types of wedding suppliers that you would like to feature but don’t currently? We love to find hidden gems, suppliers who are local businesses who offer a high quality personalised service to our couples. We are always looking for unique suppliers, in particular transport and beauty services, which seem to be elusive! We both have ‘other’ jobs, so the BBG is fitted in around those- lots of late evenings and working around our daughters- usually in chaos! We love working on the website, writing articles, engaging with suppliers and couples via our social media and meeting up with suppliers (normally with tea, cake or cocktails!) We have held a launch event and a networking event so far and we are planning our next event as we speak! We love to do things differently to other wedding events and we’ve received great feedback so far! What advice would you offer to couples planning their wedding? 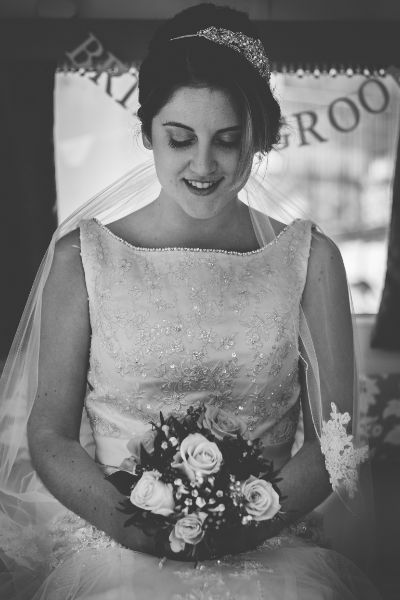 Use the Bespoke Bride Guide to ease your pain! Planning a wedding can be difficult; managing people and budgets alongside wants, needs and expectations is an emotional and time consuming process. By providing pretty much everything you need for your big day in one place, the ability to select your favourites and e mail them to yourself saves a lot of the leg work involved. We think selecting your date and venue is the first task to tick off your list and the rest follows on - being organised and delegating jobs is also crucial - you can’t physically do everything yourself. Check out our inspirational blog posts and articles for lots of tips and advice from the experts. We also love to feature all different kinds of weddings- after all your big day is as unique as you are!